It’s amazing what books mean to people. As a child, I HATED books. Books to me meant homework, boring, waste of time. It would have been a waste of your time to try to promote a book to me when I was a kid! As I grew older, I found that a book can be many things: an escape, a consoler, a teacher, and a reference… among other things. Now for whatever subjects for which someone that is trying to promote a book, I realize that one thing that is always present is a message. Even in works of fiction the author has a message. For example, in The Last Jihad, the last effort to promote a book by Joel C. Rosenberg, it was a political thriller that had a message about getting right with God and the political mess in the Middle East. While one reads the book, this does not leap out of the pages, but rather it subliminally permeates your thoughts as the protagonist goes from being a selfish to a benevolent hero. After reading the book—which was a fantastic read—I learned that what qualified Joel to write and successfully promote his book the entire Last Jihad Series, was that he was a consultant to Congress during the Reagan administration, was a communications advisor to many high-profile leaders (including Benjamin Netanyahu) and an eschatological scholar—among many other hats he wears. So he is an expert on foreign affairs, the Bible, the Middle East and end-time prophecy. What better person to promote a book on the subject of Jihad! Because of this expertise, Joel is qualified to speak on multiple topics that would be ripe for the news and media and has earned him millions as a best-selling author. So if you are asking right now, “How do I promote my book”, I need to ask you, “What is your expertise on the book that you want to write or have written”? What were the passion, experience, research and knowledge that added substance to the book for which you desire publicity? You see, this expertise will open the door to the media, giving you the exposure, credibility and publicity that will deliver your message and promote a book on the subjects near and dear to your heart. 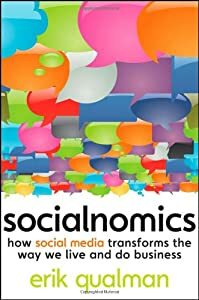 Understand that according to Erik Qualman, author of the book Socialnomics: How social media transforms the way we live and do business (John Wiley & Sons, Inc.), 24 of the top 25 newspapers are experiencing circulation decline. The New York Times let go of 1,500 people last year. They are not the only organizations that have had to downsize, so if you are trying to promote a book, getting the publicity you seek for your book is becoming an obstacle course far more difficult to navigate. So in order to break through, you need to be able to offer THEM something. What is that? Content! The media need one thing to make them happy and successful: quality content for its consumers. Regardless if you are trying to promote a book or not, the news is constantly looking for people with expertise to speak on the hot topics of the day. So whatever subject that you’ve written for the book publicity for which you are seeking, tap into the expertise that fueled it and that is what you use to pitch yourself to the media. Okay, so you figured out your expertise, but you may be wondering, “How do you pitch it to the media to promote my book? First thing you need to do is be on top of the news. You need to know what is going on in the world, in the United States and in your local community. When news happens that you can add valuable commentary on, you need to reach out and let them know you can help. If you can truly help people in the United States and in your local community, you won’t have to wonder “How do I promote my book?”; people will promote your book for you! I know, you’re thinking, how do I know HOW to reach out to them and WHO to reach out to? Well, that is a bit more complex. You see a media book promotion pitch or a book marketing plan has to be written in a way that would anticipate their need and provide content that would provide a solution. Remember the layoffs mentioned previously? They don’t have a lot of time to prep stuff for prime-time, so the easier you make it for them, the more successful you’ll be as a book publicist. This is why a good PR agency or PR agent is valuable to help when you want to market a book. You see a good PR agency and book publicist will know how to package your message and expertise; how to structure it for media producer’s and host’s consumption, and they already have the relationships and channels in place to break through and get their attention. And, when news is happening, it’s usually a very short cycle. So you want to make sure that you’re not wasting your time trying to figure it all out at a moment’s notice. No! You want it being delivered now, so as to beat the other expert to the punch. So clarify your expertise, stay on tip of the news and get some PR. After all, if you want to promote a book you need to remember that you all ready wrote the book, so make sure the world knows about it!